Which of course means it's NORMAL that I write down phrases I hear in everyday conversation because I think they would be funny band names. Also I don't just write them down. I interrupt people, even if I just met them, and say, "That'd be a great band name." Really good social skill. Several years ago I went to a good friend's 25th birthday party. Twenty-five is a big one: you've hit the quarter-century mark, you start to feel old for the first time, you can legally rent a car. My close friend deserved a nice gift from me to celebrate his meaningful milestone. So naturally I proceeded to give him a Dutch Masters bobblehead ashtray I stumbled upon at a gas station on the way to the party. I like to give thoughtful gifts. Well, a little Georgia golf tournament I went to recently has a well known tagline: "A tradition unlike any other: The Masters." 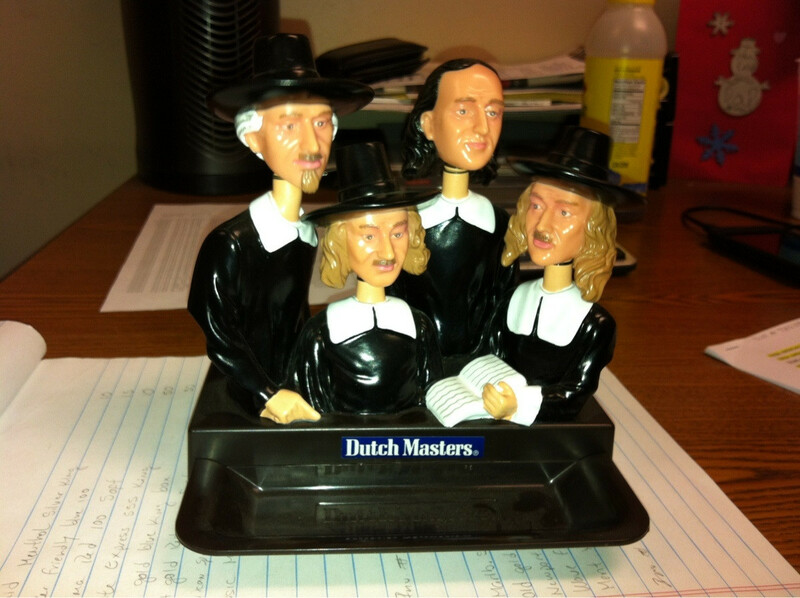 Back when I presented my dear friend with his favorite birthday present of all time, I was very proud of myself for coming up with, "A European tradition unlike any other: The Dutch Masters." I Started the SERGIO Chant! You might have heard that a feisty little Spaniard won the Masters on Sunday. You might also have heard the crowd chant his name after he sunk the winning putt (at around 40 seconds in the video)​​: "SER-GI-O! SER-GI-O!" And you might even have heard Jim Nantz comment on the chant. Well, guess what? I started it.